Enhance your property exterior with our range of high performance, low maintenance uPVC cladding. At Select Products, we are proud to offer the complete range of cladding from Swish. This high-performance uPVC cladding will enhance your property in Leeds, Harrogate, Bradford, Pudsey, Horsforth, Yeadon, Wetherby, Ilkley, and Otley in countless ways. Cladding works to protect your brickwork from the elements, saving you from water damage and keeping your home structurally sound. In addition to this, it can even enhance the thermal performance of your property, making it warmer and more cost effective. The cladding products we offer meet – but often exceed – minimum industry standards and can be adapted to suit the needs of almost any property. Designed to offer lasting protection and outstanding aesthetic value, our cladding portfolio will be tailored to your requirements, robustly resist the harsh British weather and protect your home in the event of a fire. Why not contact our friendly team today for more information and a quote? We work with the Swish range of cladding options because they offer a combination of quality and style, as well as being great value for money. The Swish range comes in a variety of styles, enabling you to create a look that you want for your property. Cladding will add a fresh new style to your home, and you can tailor that to reflect your personal tastes. This means they are sure to be the perfect new addition to your home, complementing both your tastes and your budget. Add value to your home and protect it with cladding from Select Products. Our uPVC cladding also comes with a number of colour options too. Choose from the elegant range of co-extruded options for a tasteful finish which will complement your uPVC windows and doors, or, you can opt for our foil finishes. These come in a variety of natural wood effect finishes, which look truly authentic and will enable you to have a luxury style for your home. All of our cladding styles and finishes are heard wearing too, designed to beat the British weather. This means you can enjoy many years of beauty from your new cladding installation, without having to replace it. Unlike timber cladding, our uPVC collection will never warp or rot, which is ideal for cost effective home improvements. The colour finish will never fade or peel either, another great feature. Keeping your cladding looking as fresh as the day it was installed is simple too. All you have to do is give it an occasional clean, removing any dirt or debris and it will look spectacular year after year. When we install your new cladding, we will ensure every detail is perfect, from the fit to the finish and even the trims. Our cladding installations are superb, as we have an expert team on hand to complete the work. We offer the Swish range due to the superior features and benefits it provides. It is BBA approved and it adheres to British Standard Kitemark BS 7619. It is also fire resistant, making your home a safer place to be. Whatever your reason may be for adding new cladding to your property, our options are simply spectacular and will truly enhance your home. Our expert team will begin by surveying your home, ensuring cladding is the right option for you. Once you are happy with your choices, we will then order and install your new uPVC cladding in no time at all. 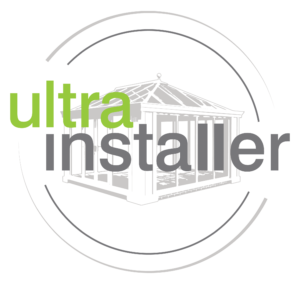 Our fitters are efficient and pride themselves on the quality of their work, so you can count on them creating the perfect installation. Many homeowners are choosing to install cladding on their homes simply to enhance the architecture, whether their home is modern or traditional. Perhaps you have a period property and you want a timber look without the upkeep, or perhaps you have a contemporary home where cladding will add style and protect your brickwork. If you’re in the process of researching the best cladding for your home, take a closer look at our extensive range. Our extensive range of high-performing products will deliver on every level and won’t disappoint you. At Select Products, we are well known for the value for money we offer in our home improvements, and our cladding is no different. Our cladding prices are incredibly competitive across the board, making your property upgrade completely cost-effective. We’ll work with you closely to ensure you get a bespoke price. The quality of our cladding is assured because it is manufactured by an industry leader. Its durability and aesthetic value will be matched in equally by the service that we offer. 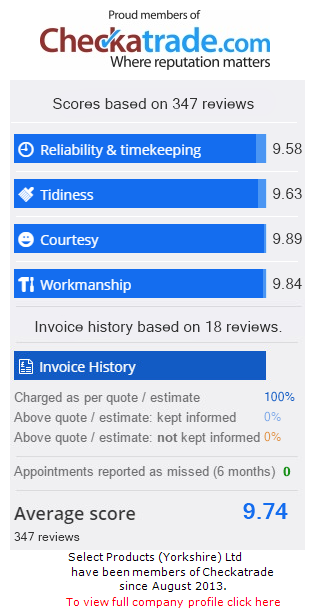 Read reviews left by our customers on Checkatrade to find our why we’re the first choice for customers in Leeds looking for home improvement help. For guideline cladding prices, please contact us directly by calling 0113 257 8933 or by sending us a message through our website. You can also come and see us at our showroom at 57 Rodley Lane in Leeds, in which case we’ll be able to show you examples of our products and talk you through their many benefits. Are you looking for help with cladding and more? Select Products can introduce you to a range of high-performing windows, doors and conservatories – which means we’ll be able to take care of every aspect of your home improvement project. You can use our free design tool to generate prices on most of our products instantly. Take a tour of one of our stunning conservatories, to see how it could transform your living space!